It's been a while, but we've made great progress with image stitching and chemistry for de-layering. 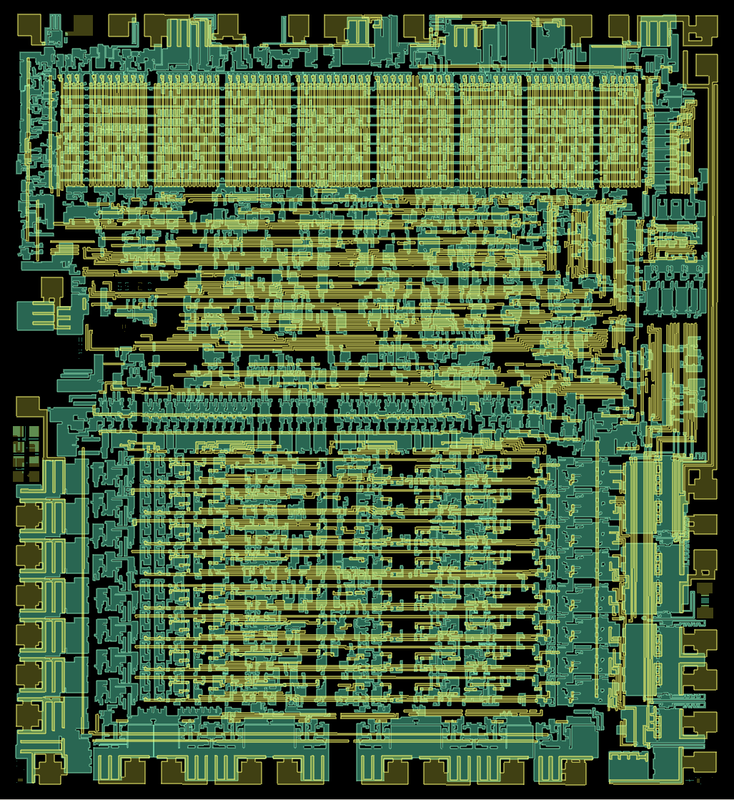 We've imaged an Intel 8080, 8085, Motorola 6800, 68000, MOS 6507, 6532, a Zilog Z80, and we've had our first taste of x-rays for imaging packages and wire bonding before the de-capping process. Not all of this material is ready, so for now, I've posted the high resolution 6502 images we used to create the vector polygon model and chip simulation. We also have an image index of various layers by themselves and in combination with other layers - part of a tutorial we're putting together. The layer images are all aligned and the same size, so you can compare them in your favorite image app. That's really nice and interesting work you're doing. 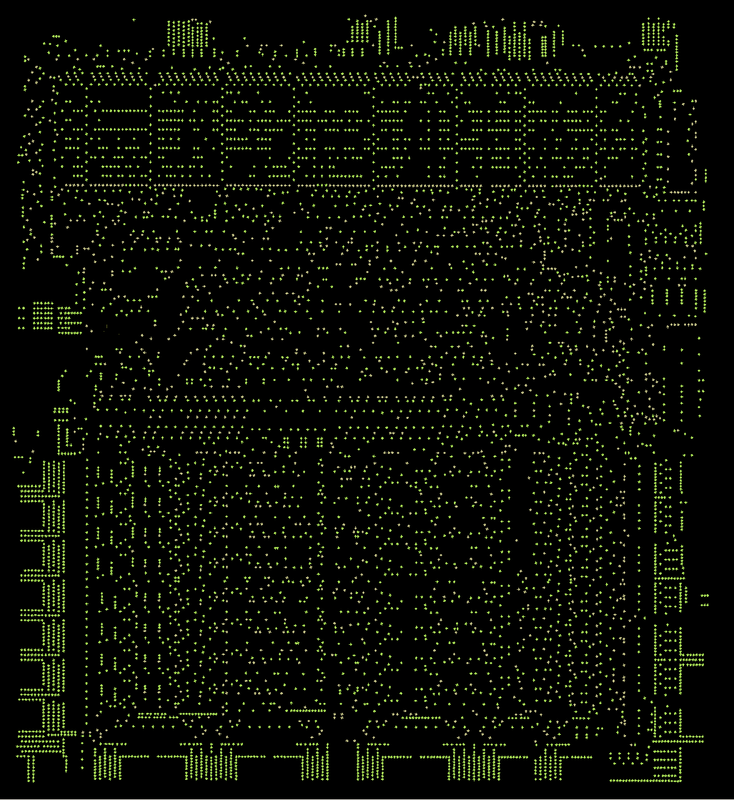 I also looked at the "6502_in_action_14_web.pdf" slides. On slide 13 there is a picture of the team that created the MOS6502 chip. But I think there is some mix-up between the names along the picture, and the picture itself. My attention was drawned to that, because there is a female person in the group, at the right in the picture. But the only female name mentioned is for the leftmost person, according to the "L to R" mentioning above the names. Perhaps the picture got in flipped horizontally ? So if we want to be sure who is really who on that picture, we have to be sure of the names corresponding to the faces. Maybe you guys can shed some light on this ?